Excellent bag up to - 15° C.
It is a German brand as you all know, but the bag is Chinese made, a very good one indeed. Unfortunately it still is not sold in the U.S. market. 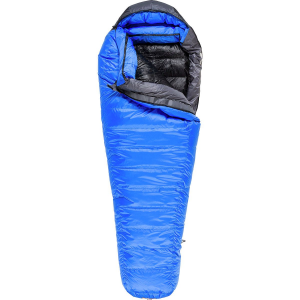 It comes in two sizes; regular (6'), long (6.6'). It weighs approximately 3 pounds and 8 ounces. 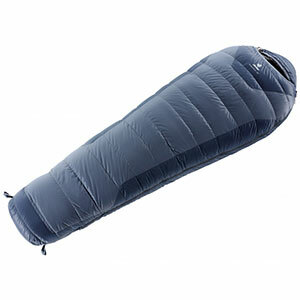 The outer shell is Deuter-Diamond 30D Nylon and the inside lining is Tactel Nylon. 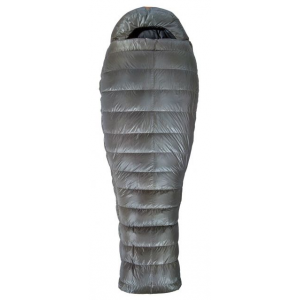 It is a new model down sleeping bag with amazingly good insulating qualities. Thermo Stretch Comfort System on the inside: the lining which is soft Tactel Nylon, is constructed with elastic seams allowing to expand up to 25 % in width. However, the shell has a roomy cut and thus not only keeps the loft of the down, but enhances the insulation by providing even more space for the down to expand. 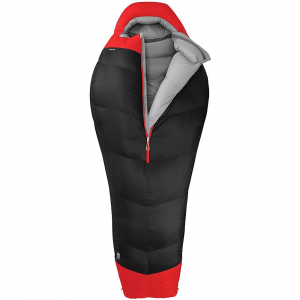 Manufacturer claims that compared to other down sleeping bags without Thermo Stretch Comfort, this particular insulation construction improves the inner temperature at an average of 2°C. The head and foot section are ergonomically cut. 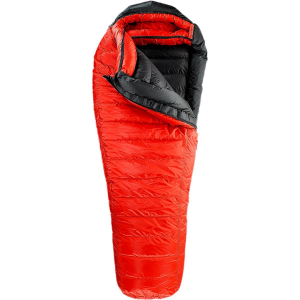 The 3D hood protects the sleeper’s head, while the Ergo Foot cut with its extra thick fill in three chambers guarantees warm feet. Trapezoid chambers keep the down evenly distributed and prevent cold spots. Warmth-to-weight ratio is relatively good. Compression packsack and additional storage sack. I slept in the bag last weekend at 8400 feet during a summit attempt, temperature was around -5 to -7 C and I was amazingly cozy inside the bag. I realized how cold the outside was when I got out of the tent to pee. It was so cold that the moment I got out of the tent with my coat on of course, I started shivering uncontrollably until entering back to the tent and into the bag. The bag itself is good up to and maybe a little bit below 0°F, but the temperature compatibility can easily be improved, using a Mylar bag inside. It is sold in the range of $475 - $520 in Europe. The compatible models and brands are available in the US market, so I am not gonna say you can consider this one as a good alternative to this and that. I am glad to have it. How sure are you this is German made? 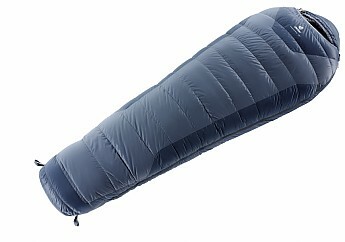 Deuter is a German company, but as far as I know, now only in headquarters and design/management. All the Deuter packs I own are made in their facility in Vietnam. You are correct, mine is Chinese made. I am correcting in text as well. Thank you. So the name is a little misleading. -15 must be Celsius. (Wish the U.S. would just give up on the non-metric scale.) Nice review! Right again, I though I would give some insight in terms of the US range, but there is no such thing in US market so I better correct that,too. The Deuter Neosphere -15° is not available from the stores we monitor.